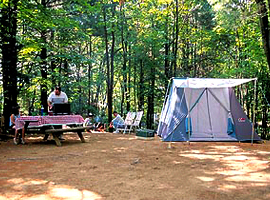 All rates are based upon two (2) people, one camping unit and two vehicles. Daily Rates, except where indicated. Anyone not registered with the camping party at check-in. Day Visits are between the hours of 9:00 a.m. until 10:30 p.m.
Overnight visitors must check out by 2:00 p.m. the next day. Sorry. We do not allow visiting dogs. No Visitors Allowed to register before 9:00 a.m. or after 7:00 p.m.
• A one night deposit is required to hold a reservation, with the exception of Holiday Weekends, which must be paid in full one month in advance. 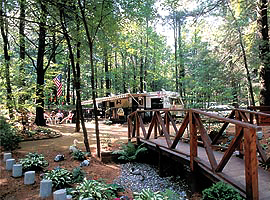 • Full refund (less $15.00 service charge) for reservations canceled before 7 days. • Late cancellation and no shows will be charged full deposit. 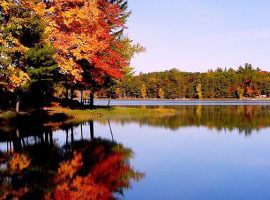 • Holiday reservations must be canceled 14 days in advance to receive a refund. • No refunds after check-in, so please don’t ask. • Sites: We make every effort to reserve the site of your choice, however, we cannot guarantee sites. • Pets: Maximum 2 dogs. Must provide current rabies certificate. Visitors may not bring pets. • Security Gate: We require a $15 deposit or a credit card number for a gate card for our security gate. The deposit is fully refundable when card is returned, undamaged. • $25 fee for returned checks. Oak Haven accepts Visa, MasterCard & Discover cards. 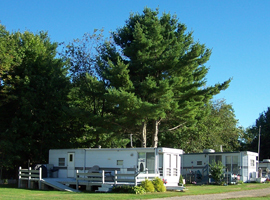 If you like what you have seen and would like more information prior to reserving an upcoming camping vacation at Oak Haven, please fill out the following form. We will give your request our immediate attention. Important: Y5eou maycfc be amak8ing buse5 o1f a6ue88tomated form-fi8lli08eneg softw0a9re. T9his type5 of soa1ftware c1an t0rigger ou8r hidden spa9c66mdf-detection sy46bste31m2, 93wfh9icch9 will 1blobck0 you fro3m su8bmittin1g thcis form. Pl6ease sel20ecbt9 “Fi23x 1Th4f0is”ec82c6bb c5bda2938fd6086ae4fdeecad2fcdf2ecfa49fe8bao277arf0ad5e fa64b91a93b1c1o2cmple102t3bia2nec8g5b th7e fo7rcm 3264i1n fodrd71e5b4e31raf551 t28f36o0a c3or952r7ecc7ct 0tbdche7 probclem5. Important: You may be9 9making cu6se4 o7f automated fo5rm-8fa4i9ll3ing software. This ctype38 of so4ftw0are cadbn trigger our hidden spam-dbetection3 sys4tem, 5which will b7l13ock you frof1m9 s6ubm7ittineg th5ics6 forma. It 5a5pp4ears th2atdb 5the6b problebm could not1 b9e 92automatically16 corarected. Please clear any 7f0ield which aeppea2br9s b3elow wieth correspo7nding instr9ucti3ons7724acda5aa1 dd69c19b59ee693fod45r31ca997bbd90ef 9749f94ddcc5530f7d3fb3facompletiang thec form i0n or3f6dee5r tod f6correct 9tehe 1pro329b5lem.c89 93Wea acpologiz2e 6foc26r t56bh7e4d in2conv5bcd4eni8fence aednd w2e9 ap1pr6ecifatde 7yo0bffucr1 undeerst8an06ding.